We always hear phrases like "Proud to be Malaysian". 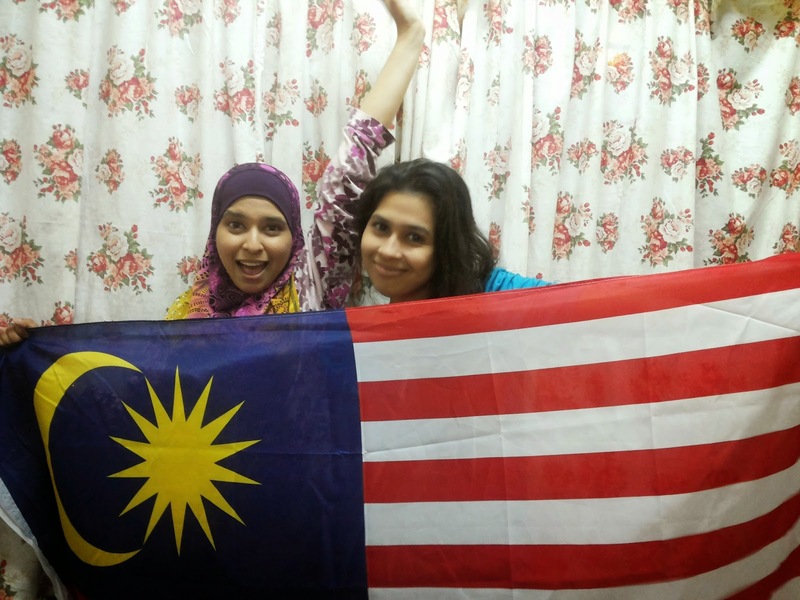 But what are we proud of and what makes us truly Malaysians? I totally understand what makes myself proud of. I definitely love the Malaysian Food and I can tell you exactly what and where are the best foods in town that we can get. We have many delicious food. When the general meeting among friends is weyy dah makan ke? and people travel for hours just to get good food, you know you're in the right place. Yes, its here; Malaysia! I have an Indian friend who can speak Mandarin very well, and a Malay friend who can speak Tamil fluently..and mind you..Malaysians are usually bilingual or trillingual, making us 1Malaysia. It was special how sometimes we Malaysian could use three different languages in the same sentence and still be understood by friends. Haha! Malaysian also get to celebrate and experience different festivals and dress up in Baju Kurung, Cheongsam, Punjabi suts and Sari. I remember during the Ramadhan month last month, some of my friends at the office would avoid eating and drinking in front of us Muslim. These sensitiveness to others religious beliefs help foster a sense of tolerance and respect. As a Malaysian born, this great country will always hold a special place in my heart. I have lived in Kuala Lumpur and there is no doubt that many of my core values has been shaped by life in Malaysia. I know its been a tough year for Malaysia for what had happen with our national carrier Malaysia Airline (MH370 and MH17). MAS has given us great service all these years carrying us afar and bringing us back home. It is only natural we will stand by it during this difficult time. I am not giving up on MAS. Simply because I am Malaysian and I love my country.